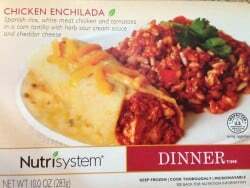 Nutrisystem is one of the most popular diet plans to lose weight. 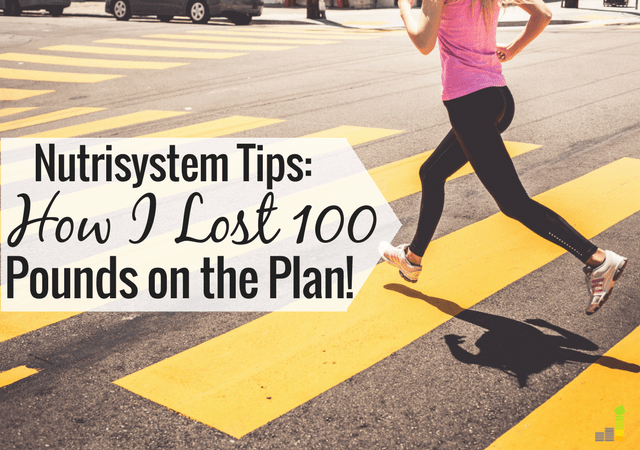 I lost 100 pounds on the plan, so here’s a Nutrisystem review to share honestly what I think about their plan and if they offer a good solution to lose weight. As I’ve shared in detail over the past several years, I’ve always struggled with my weight, even as a child. Although I was extremely active growing up, playing three sports, I always had a problem with weight. Having just turned 40 I knew if I didn’t make a change it likely wasn’t going to ever happen. I was always tired. I had little to no energy and was often out of breath after walking a flight of stairs. That was not the kind of life I wanted to live. A radical change needed to take place. I wanted to add years back to my life and losing a significant amount of weight was the only way to accomplish that. I turned to Nutrisystem. This was not a financial decision, per se, as any diet plan can have a significant cost – though there are hacks you can use to save money on Nutrisytem. It was a life decision. There was no real reason why I chose Nutrisystem. I chose them after seeing their ads and thought I’d give it a chance. They have a variety of meal plans to choose from and I liked the customization aspect. I joined Nutrisystem in February 2014 and on June 19, 2015 I reached my goal of losing 100 pounds. It wasn’t easy, but without the help of Nutrisystem I would not have been successful. Below is my Nutrisystem and thoughts on their diet plan. The Nutrisystem meal plan does one thing really well – it teaches you about proper portion size. Prior to going on Nutrisystem I was consuming over 4,000+ calories, as I can best estimate, on a given day. I was eating the amount of food needed to feed a small Russian army. The problem is, I looked like a small Russian army. I really like that Nutrisystem resets your mind to look at eating in a more balanced way. You eat what you need. No more, no less. Honestly, at first, this was a literal shock to my system. I went from the 4,000 calorie a day consumption to 1,000 calories per day – for the first week. I had migraines and I was going through sugar withdrawals. It wasn’t pretty. Three days in, I didn’t think I could take it any longer. I called in and they bumped me up to 1,500 calories per day. That did the trick. 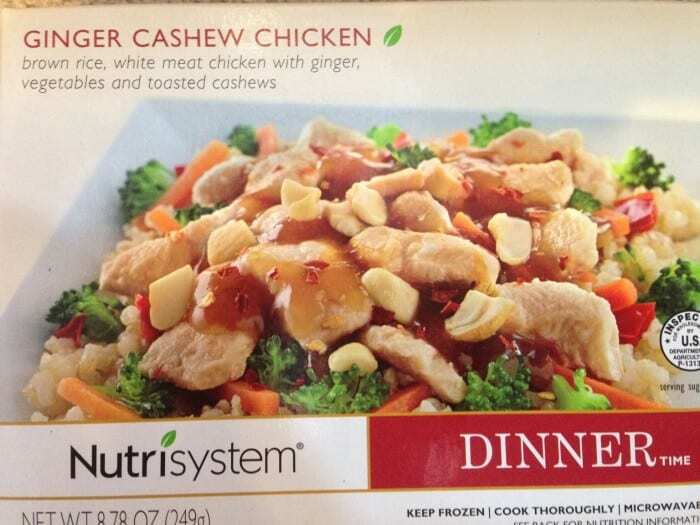 The other thing I like about the Nutrisystem diet plan is they have a lot of variety, not to mention balanced meals. You have plenty of different foods to choose from. I never counted them, but for each meal there is at least two to three dozen different options to choose from. As you’ll see below that came in handy. Variety and portion sizing were key in helping me lose weight. Without either I don’t know if I would have been successful. I chose the highest end option that came in at $360 per month. The other two plans cost $250 and $300 per month, respectively. The plan allows you ten frozen meals for each breakfast, lunch, dinner and snacks with the other 18 meals being non-frozen – per monthly shipment. To be honest, the tastiness of the food varies a bit. Some of the food was pretty good. 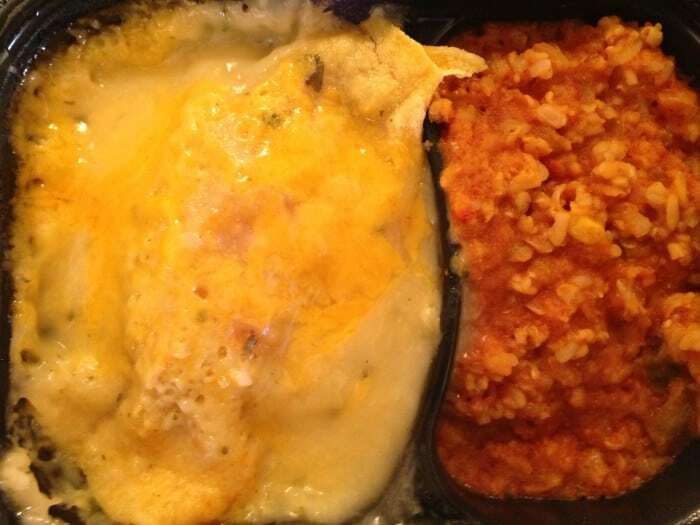 Many of the frozen meals were no different than something you’d buy at the store, aside from the portion size. None of the meals are that bad, though few of them are great. Get Paid Up to $10,000 to Lose Weight! Have you tried dieting before but always put the weight back on? The secret to shedding pounds for good could be betting on yourself with HealthyWage. Set your weight loss goal and see how much you can win when you hit it. Try HealthyWage now! After about a month or two I learned what I liked and stuck with those meals. That does lead to a bit of monotony, but I was willing to do it if it worked. Another challenge many face is what to do when you travel or go out to eat. I didn’t deal with that much though can see how it can be a challenge. Nutrisystem has quite a number of packaged meals you can take on the go to deal with the travel component. Think KIND bars, or something similar. Eating out was more of a challenge for me, but I found a good rhythm, though we don’t eat out much anyway. My solution to eating out was to order a large leafy green salad, without dressing and I was usually good. If you can manage those two challenges and find enough food you like, you’ll be fine. I should also point out to get this pricing you do need to agree to a recurring monthly shipment. That was the route I took, but can see how you might not want that. They offer weekly plans at a slightly higher price. You can go that route at first to see if you can manage it, then move up to the monthly plan. Do keep in mind that I chose the highest end Nutrisystem plan. They also have cheaper plans that cost $250 and $300 per month, respectively. Click here to claim your 40 percent off Nutrisystem today. 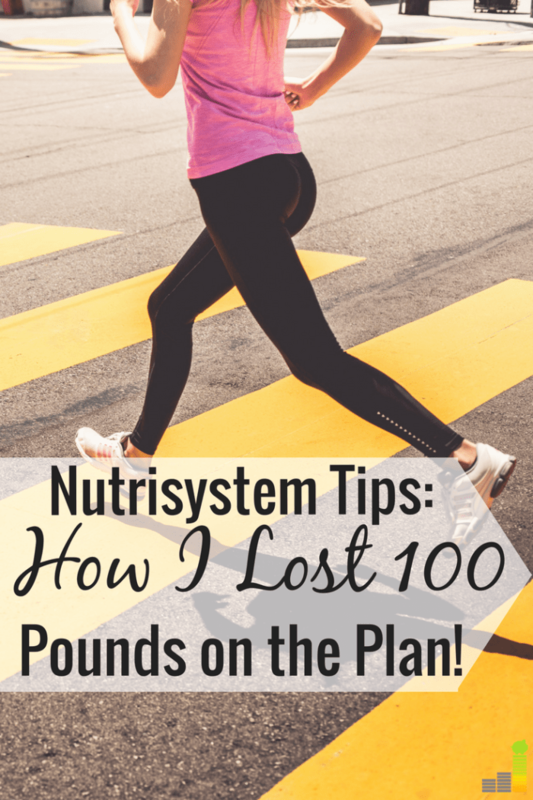 As we live frugally I instantly wanted to find a way to save money on the Nutrisystem meal plan. Thankfully, there are several ways to do just that. Nutrisystem constantly runs different deals, especially at the beginning of the year. My Nutrisystem savings hack actually came as a result of Costco. Our Costco sells dozens of gift cards from different retailers, one of them being for Nutrisystem. The standard deal is a $100 Nutrisystem gift card for $80. I would buy three per month and redeem them when ordering my food and save $60 for the month. Several times during my 15 months on the Nutrisystem diet plan Costco lowered the price to $60 for a $100 gift card. I would stock up during those times, allowing us to save $120 per month. I also bought discounted gift cards through EBay that provided similar savings. There was only one month I paid full price, that was the first month on the plan. However, I soon learned there was ample opportunity to save money. What do you eat on Nutrisystem? I was commonly asked what you can eat while on Nutrisystem. When you’re on the Nutrisystem meal plan you get your three meals plus two snacks per day. They allow you supplement that with a variety of items. As you can see, you’re eating throughout the day. You will be hungry many times, but that’s the point. You don’t eat to be full., you eat to be satisfied. Thus, the portion sizing I mentioned earlier. I will also point out that as I got closer to my goal I cut fruit and the protein at lunch to cut down on the calories. A diet plan like Nutrisystem isn’t for everyone. I believe I had to be at a certain place to be successful with it. They do a great job of helping you learn about portion sizing, encouraging you to exercise and be successful. Nutrisystem also offers a lot of different tools to help encourage and motivate you. They have trained dieticians and counselors to speak with you if you ever have questions. Nutrisystem also has an expansive website to get feedback or support. 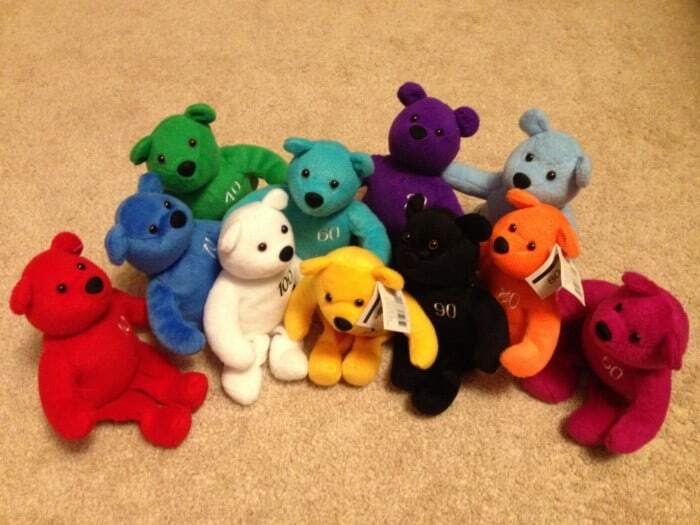 They encourage you to track your progress and reward you by sending a stuffed animal for every ten pounds lost. That’s admittedly a bit silly, but I found getting the next bear challenged me to move on. Stupid, I know, but it worked. You’ll see my haul above by the way. It’s a challenge to spend money to lose weight, especially when it feels like you’ll never reach the goal. I used the money we spent as a motivation to continue. I knew if I went off the plan that I might as well be throwing money in the trashcan. That’s the last thing I wanted. That being said, if you’re committed and work at it the Nutrisystem diet plan is a good way to try and accomplish your weight loss goals. Sign up for Nutrisystem and get your first week for free, when you sign up through our link! Have you ever tried a diet plan like Nutrisystem and what was your experience? How many times can you eat the same thing in a week without tiring of it? Would you ever pay to lose weight? That’s incredible weight loss, and the health consequences will surely make up for the cost. I tried Form-U-3 in the 90s. Lost 30 pounds (to get to my ideal weight) and kept it off for 2-3 years. But it was very restrictive (no cheese!) and I just drifted back. I’ve tried Weight Watchers, lost 20, had more to go but lost motivation. I admit, the processed food in Nutrisystem doesn’t appeal to me. I’m not sure I would be able to transition out well. My current plan is to increase movement (with my trusty Fitbit egging me on) and decrease food intake. 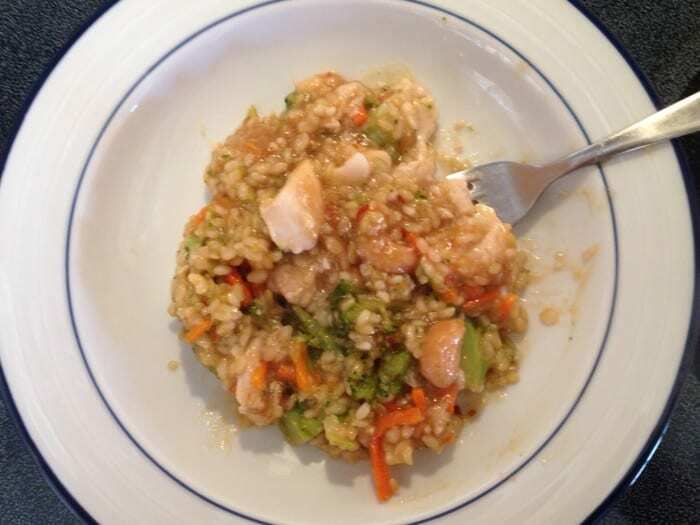 My husband’s lost about 60 pounds over the last 5 years by cutting out a lot of sugar and drastically reducing his portion size of regular foods. So now I do things like split a beer with him at night, or split a hot dog. It’s slow, but I’m seeing progress. Thanks Emily – that’s my thought exactly! I completely understand the lack of desire for the processed food. It was a challenge for me at times, but the cost and the end goal is what I had to lean on to drive me. That being said, congrats to your husband for his weight loss. I think you, generally speaking, need to find what you’re most comfortable with and works for you. So much of it comes down to cutting down that portion size and learning what works for you. Progress is the real goal, in my opinion, to be able to find some sort of balance. Best of luck on your journey – I know it’ll be a challenge I need to regularly stay on top of. Now i need to increase my activity! This sounds like the perfect plan for a busy person who has other people in the house to feed. You don’t have to think about what you can and can’t have. It sounds like it’s all spelled out. I am so happy for you. This is such an amazing achievement and inspiration for others. What do you do now that you’ve hit your goal? You nailed it on the head Kim. We’re so busy that I needed something to manage it for me. As I added completely changed eating habits outside of the plan it became much simpler to follow. Thanks! We’ve significantly changed how we eat. A lot of whole, organic foods with a lot of veggies. We eat very little red meat (1-2x month) with a lot of fish. The biggest change has been the portion sizing and eating til satisfied – not til I’m full. I’m working out 5-6 times per week as well as I want to lose another 20-30 pounds. I, too used Nutrisystem to lose weight and had enormous success with it. In January of 2013, I started a 3 days a week, bootcamp style class at my gym. Hard workouts. I paid $400 for the class, and at the end of 2 months I had lost a whopping 2 pounds. My pants didn’t fit better, either. Discouraged, I saw the Nutrisystem sale at Costco and bought enough to get me through a few months. Coupled with their sale, I was able to save significantly, too. This is an excellent program for those who need to learn proper portion size, which is the key to reducing your weight. People asked me all the time what the food tastes like. It doesn’t taste bad, it just doesn’t taste great. I think this actually worked in my favor, because I would eat because I had to, rather than because I wanted to. My mindset changed and I lost 15 pounds in 2 months. Totally worth it. Congratulations John! You look great! While I didn’t go the bootcamp approach, I did work out quite a bit and usually led to nowhere. Glad to hear you had success with Nutrisystem and would wholeheartedly agree with you on the portion sizing. I look at what I eat now vs. two years ago and it’s crazy. I got that from them and the changed diet was combo between them and us just changing our habits. I think you put the issue of the food well. Very few things were truly bad, but few things were really great either. I found what I could relatively enjoy and stuck with that. Thanks Mindy – I feel great! Okay, well first off NO ONE should go down to 1,000 calories a day. I’m all for losing weight, but I count 1,200 (net after any exercise) as the bare minimum for health. That’s how much a 160 lb person burns lying in bed all day. Much below that — assuming you weigh more than 110ish lbs — and your body goes into starvation mode. All of that being said, I’ve been on Nutrisystem with relatively positive results. I have chronic fatigue and am a depressive, so when I took on a full-time job and still had a small daily side hustle (both done from home) I needed to take food out of the equation. It was nice to not have to worry about food too much, though it was annoying to have to stay stocked up on veggies and such. Overall, the meals and even desserts were pretty good, and it’s good that they get you eating several small meals a day. It’s something I picked back up again in the past year — and it’s done wonders for my blood sugar and how much I eat. But I don’t eat red meat and don’t like seafood, so the choices were limited. So I quit after the second month. Still, I probably lost around 10-15 lbs and wasn’t able to exercise during that time. The problem with these meal plans is that I actually don’t believe they teach you portion size. They’re keeping the portions small — too small, really — so that you see significant weight loss quickly. I’m glad it worked for you, but I don’t at all believe that Nutrisystem provides a long-term, healthy framework for eating. But if you need quick results, it’s a good way to go. Just make sure you eat at least 1,200 calories a day, people! Otherwise, as soon as you go back to anything resembling “real” food, you’re starvation-mode body will pack on as many pounds as it can in case you do that again. I should clarify the calorie amount. It was a special 1,000/day for the first week and then they would move me up to 1,500/day. After 3 days I saw the 1,000/day was not sustainable. Adding the extra calories did the trick. Today, I’m usually in the 1,500-1,800/day range. It’s my opinion they start out with that crazy low amount for the first week to give you momentum and continue. Glad you had success losing some weight on the plan -especially without being able to exercise while on it. That being said, I’d have to disagree with you on the portion sizing. I think they were just fine and when you add in foods they allow you to add in it really is a lot of food – just the right food. I would also add that a big key to leaving the plan is continuing to live out what you learned as you go back to “real” food. If you don’t, you’re leaving yourself open to adding the weight back on. It can be Jayson if you put in the work and stay on the plan. This is a really great review, John! Kudos to you for putting in the time, money, and effort into Nutrisystem. It clearly works well for many people (you aren’t the only one I know who has positive reviews of it). I think it’s totally possible to “go it alone” when it comes to a diet and plan all your meals, etc. on your own, but for most busy people this simply isn’t an option. They obviously have a good system going. I’m so glad I found this review! I was struggling with how I was going to afford 300 a month to keep going with nutrisystem… and then came your article with the ebay suggestion. Now I’m saving 80 a month and the 218 is well within my normal range for groceries :D. Thank you! Thank you! Thank you! I just started Nutrisystem, largely based on this review. I’ve lost and gained the same 100 lb about four times prior to this. I had the most luck with Atkins but I can’t sustain that for the long term. A lot of people talk about the price, but I don’t know how many of them add up the cost of what they are currently eating. Just doing some basic averages, and Nutrisystem even with adding veggies, cheese, and eggs (my protein choice), will be HALF what I’m used to spending. I’m probably overconfident at this point. But I’ve been down this road before and I feel like the wind is at my back. Glad to hear you’re back at it Jay! That’s a good point, if it’s cutting down on the amount you did spend in the past on food you’d definitely get some savings – best of luck. Thanks for your honest review. I’m contemplating this program, haven’t looked into WW or Jenny Craig yet. I wanted to do some research and really find out what I can expect. I really hope my only problem is portion sizes, I think carbs do me alot of damage and I’m afraid NutriSystem may contain too many. Not a problem at all Debbie. I looked at those programs and pulled the trigger on NutriSystem as a family member used them & had success. I think you’d be surprised just how much of it does come down to portion sizes – I eat a lot less than I used to and it all came as a result of NutriSystem. I wish I’d started Nutrisystem when I started looking at it a year ago. I didn’t think it was possible to lose weight at 57 being sedentary. I’ve dieted since I was 12 years old, but never had a weight problem until I had a thyroid issue about 5 years ago. Gained 30 lbs in about 6 months. Thanks to Nutrisystem, I’m down 12 lbs in one month! I love having my nightly dessert. I love eating a many times during the day. And for me, my main problem was not calories, but not eating anything until the end of the day. (Figured if I started later in the day I’d eat less overall). And it wasn’t convenient to fix a meal while working. Being task-oriented I’d just keep working and skip breakfast and usually lunch. Really hurt my metabolism. On Nutrisystem the counselor told me that the basic plan is to eat every 2 hours. With their food, it was convenient to do eat that often. I was also reminded of the value of low cal syrup and salad dressing. Used to do that in my 20s, but had totally forgotten. Removing sugar from my tea and switching to Sugar free creamer also helped. My second month I ordered pizzas, melts, burgers, chicken sandwiches and chicken breasts, hamburgers. No, it’s not like the fast food versions. But fun to be able to have pizza in some form on a diet! And bread! And dessert even at 11 at night before bed! And STILL lost weight!! Highly recommend the customized plan – that’s the one I’m on. I prefer the frozen food, but mostly because a lot of the non-frozen food has some spice or something that has an odd (maybe celery?) taste to me. I’m not a fan of anything pasta except the three cheese chicken Chicken parmesan, and the Chicken Alfredo (frozen). LOVE the tuna salad since they add minced waterchestnuts – makes it delicious! And I love having coffee and a cinnamon bun for breakfast. No it’s not Cinnabon, but it’s still a bread cinnamon bun. The other thing that really is helpful is having the counselors to call. They have been very helpful. Week 1 I lost 4.5 lbs, Week 2 I lost 1.5 pounds. I was so upset that I didn’t lose much that second week compared to the first. I called to see if they had any suggestions, and they asked me about the journal I’d kept. They helped me realize I had eaten more around 1100 calories the second week instead of around 900. Since I’m not active, I cut back to 900 calories and that did the trick. Switched the morning powerfuels to vegetables to do so. Ok, one last thing. I’m impressed with the NuMi app I put on my iPhone. It lets me log everything I eat very easily and even automatically tracks my steps when I have my phone on me. I’m thrilled and thankful!! Really enjoyed buying a few clothes last week. Sounds like you’re on the right track Donna, congrats on the weight loss! I’ve done Nutrisystem off and on (currently on) and the program works if you follow it. As far as cost, it’s cheaper for me because the wife and I were eating out a lot that this cut our grocery bill in half. If you started out eating 1000 calories per week, you wasn’t following the program correctly. For a male, the minimum is 1500 calories and for females, the minimum is 1200. I track using Lose It and I never allow myself to go below 1400 in a day. If I do, I don’t lose weight. As far as if I get tired of the food, it gives you a better selection than what most people eat off plan. Talking to people I see on a daily basis, I’ve come to realize that most people pretty much eat the same thing with very little variance. You’ve heard the jokes about it being, “meatloaf Tuesday” or “pizza Friday”? Well, that’s how must people eat. They find the things they like and stick with them. On NS, you also have to eat veg and salads and dairy and consume a certain amount of water to actually follow the plan. IF I remember correctly, its 8 16 oz of water and 4 veg in a day. Yes, the entree’s are “processed food”, but if you don’t like that then you should be cooking at home and not looking for a prepackaged diet plan. I’ve been in healthcare for 25 years and when people find out what I’m doing, the first question they ask is, “isn’t that bad for your health?” My response is generally, “not as bad as being fat….” I’ve lost about 30 lbs since October (which isn’t a rapid loss compared to some), but I cheat alot because my work hours are so varied and I get called in frequently. But then again, like I said in the beginning, it works if you work it. The food is tolerable and I have my favorites and I have the ones I avoid. Like every other food in the world…. The only complaint I have is that they seem to have increased the fiber content in the food. I’m still adjusting but it’s manageable. Congrats on the weight loss thus far and sharing your insight John. In regards to the 1,000 calories per day, I was following it correctly. It’s the plan they put me on solely for the first week, then they were going to bump me to 1,500 after that. I was having too many issues with that low of a calorie amount so they decided to bump me up early. I am anxiously waiting for my shipment to arrive! It should be here this week. Last year I tried beachbody and the shakes. I found out that I am NOT a meal replacement gal….I need to eat, for whatever reason. I need a good “kick start” and am optimistic the NS will do it! Loved reading your story and comments, thanks! Awesome, glad to hear it Antoinette! Nutrisystem did great for me as I was constantly eating, it focuses a lot on right portion sizes, not giving up food altogether. Thanks for the review! I just bought it to start! I have done all of the diets… Atkins, Lindora, WW, counting calories, raw vegan, vegan, vegetarian… you name it… I’ve tried it:.. over time I realize with my busy life, I don’t ever cook food to prepare for the week… as I do not like leftovers…. I grab something fast… which is usually frozen meals. So, now that I am starting on Nutrysistem… I feel like this is the perfect tool. Thank you so much again for your review and congrats on the hard work for your weight loss! Thanks Ashley and best wishes as you start. I know what that’s like. We’re usually pretty busy and it can be easy to slip into getting something out/having something unhealthy. I really liked how NutriSystem made it easy to deal with those times and still stick to the plan. Hi John. Thanks for describing your weight loss journey of losing 100 pounds using Nutrisystem. That is great news for you. My experience with Nutrisystem after 2 months on the program is similar to yours. I lost 7 lbs the first week. And steadily averaging 1 lb per week, totaling a loss of 10 lbs for the first month. I travel a lot and have a very stressful lifestyle, as I am self employed in the apartment rental business. I have learned that my portions have been way to much for my body frame of 5’3”. I am an emotional eater, so when I get stressed over money, I eat. I found Costco has 100 certificate for 80, with a savings of 60/month. I do the diabetic D plan because I read an article that the D plan had the most evidence based results in a clinical study. I have cheated many times after the first month because my job calls me away from home at the drop of a dime, which causes me stress. So my second month I lost and gained the same 4 lbs. so I’m now going into my 3rd month, still downs 10 lbs, from the start. I also find eating the smart carbs and fruit prevent me from losing weight, so I only eat the power-fuels, since my job is mostly sedentary, sitting behind a computer screen. What do you do to mantain your weight loss now that you are not on Nutrisystem? Not a problem Renee, happy to share. Sorry to hear about your ups and downs – I’ve dealt with that most of my life. What I do now is stay as active as can be. I exercise six times a week, taking a weekend day off and do a combination of cardio & strength. I also have a standing desk now so I cut down on a lot of the sitting that I have working from home. I combine all that with keeping my portion sizes down, not much more than what I was eating while on the program. If I can keep snack-y type foods out of the house I can usually do fairly well. Best wishes on your continued weight loss! Congrats on your weight loss! I love the portion controlled frozen meals. Why not just buy frozen dinners from the store and do the same thing as Nutrisystem? I lost 60 lbs this way, had more food choices and healthier too! Nowadays you can eat organic, no preservative frozen meals! Thanks Naomi, that’s certainly an option for some. For me, having some skin in the game with the money kept me accountable to staying on target. If it was all reliant to me simply buying meals at the store I wouldn’t have had the success I had. John, just found your site and thank you for sharing your success story. This inspires me to continue with my NutriSystem plan tomorrow of which will be my third week. In two weeks I have lost 10.5 pounds which I never thought I could do. I really need to lose minimum 60, but for my height I should lose 100. I agree that the NS meals are just right for losing weight and learning portion control. They are not bad but obviously not gourmet meals and that is okay. I will continue on my journey and with the weight loss will lower blood sugars as well. Thank you for sharing.